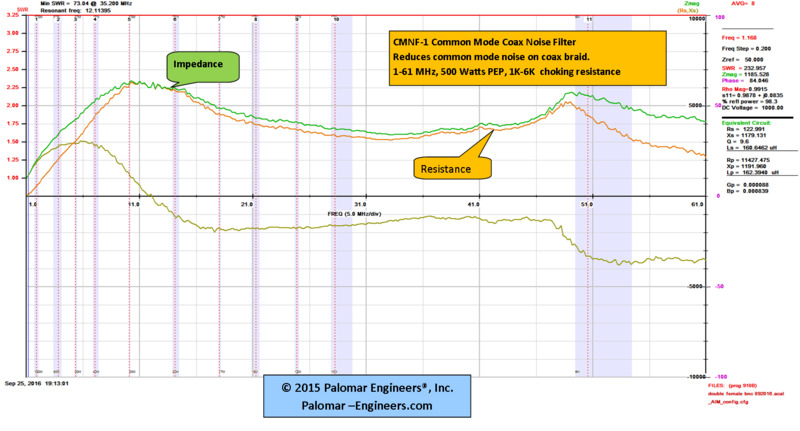 CMNF-1500HF for transmitter/receiver coax lines up to 500 watts PEP - 1.8-60 MHz! - Simple plug & play installation: plug a short jumper from the CMNF-1500HF to your amplifier output and plug the feed line (or a jumper to your antenna tuner) into the other SO-239 CMNF-1500HF input. Either connector can be input or output. Rated at 1500 watts PEP. 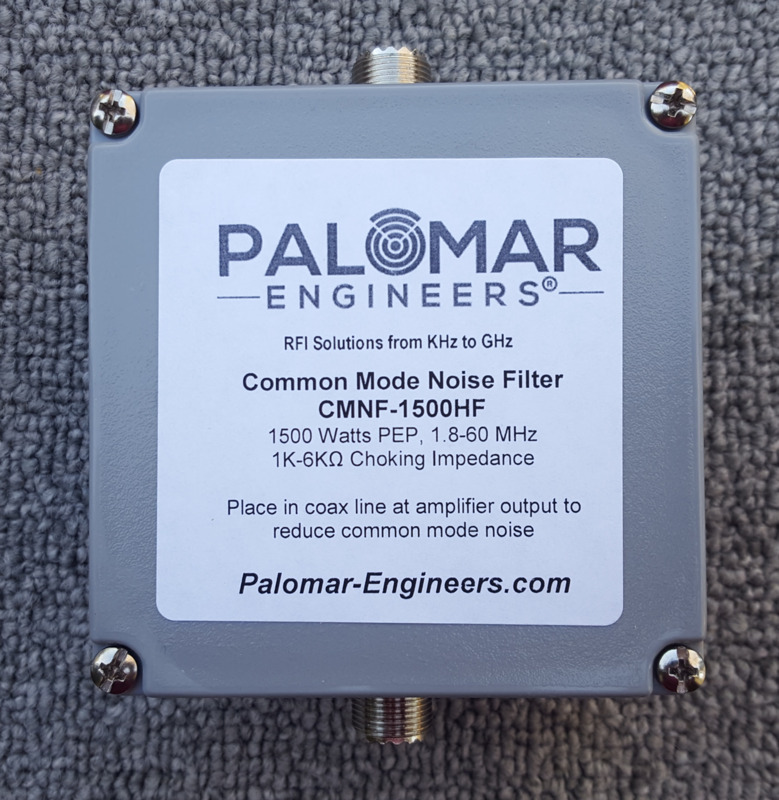 If you use a antenna switch for multiple antennas in the 1.8-61 MHz range, place the CMNF-1500HF in the "common" line of the antenna coax switch and the antenna tuner/amplifier. Enclosure Size (inches):4" x 4" x 2"